Are you searching high quality hotel in Thiruvananthapuram? Then Mascot Hotel is best selection for it. It has many features, outstanding facilities and excellent services. Do you want to know more about Mascot Hotel? Read here about features, facilities, services and contact details of Mascot Hotel. The Mascot Hotel is located in Thiruvananthapuram which is built by house of officers at the royal British army during World War 1. Mascot is the oldest Star Hotel of KTDC conveniently located right in the hearts of Thiruvananthapuram city. The property offers good standard of quality with Modern comfort to make your stay pleasant and memorable. The Mascot comes with 27 Rooms all are well cleaned and comes with good standard. The Thiruvananthapuram international airport is just 20 min from the hotel. Central Rail and Bus terminal is just 5 Min from road way. The Mascot Hotel is mostly liked by many peoples and it is fully furnished with great values. The Interior and exterior are good enough. 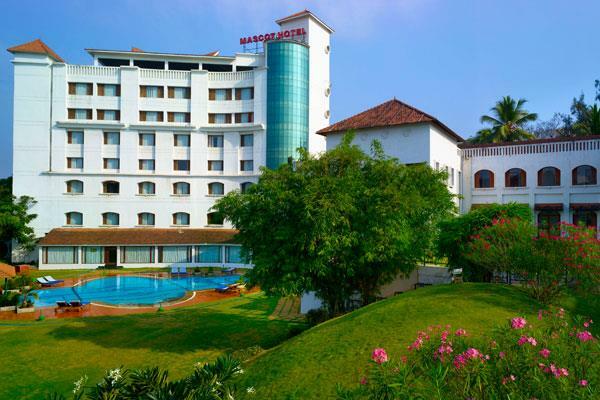 Here in Mascot Hotel is mainly for Businessman's and tourist those who visiting Trivandrum to enjoy the beauty of Kerala. Car Hiring is also available for guest to visit some tourist spots around Mascot Hotel Doctor-on-call facility also available for guests. The Mascot Hotel is of fully furnished A/c and Non A/c Rooms with well-equipped interior. There are 27 A/c room and Non A/c rooms available in Mascot Hotel. The Multi cuisine restaurant and guests can dine in at moderate rates. Almost all the facilities are available in Mascot Hotel and we don't want to search for any of our needs outside. The Mascot Hotel is with Multi Cuisine Restaurant Provided with good quality of foods and service. The Mascot Hotel is attracted by many sightseeing places are around the hotel Kovalam beach which is located from Trivandrum city, Ponmudi Hill Resort which is from Trivandrum city, Shre Padmanaba Temple, and Napier museum are available very nearer to Mascot Hotel. Here the Mascot Hotel is of fully furnished A/c and Non A/c Rooms with well-equipped interior. There are 28 A/c room and Non A/c rooms available in Mascot Hotel. The Multi cuisine restaurant and guests can dine in at moderate rates. The restaurant is of Chinese, Indian and International Traditional standard of foods and Beverages are also available. Corporate are also facilitated with board room and two states of art conference rooms with a capacity of 100 seats. One can also be a part of recreational activities. The Airport and Rail Station Are not for to get into Mascot Hotel and it takes some minutes to check in with it and the hotel is good enough for some budget seekers and for that reason it is good in its standard. All Types of cards are accepted here and you can also book your rooms through online. What are you waiting for? Rush and enjoy the holiday in a budget Rate. •	Persons above 12 Age will be charged full rate.